Well March was wild to say the least!! We knew it would bring the arrival of our newest baby girl so we entered the month with excitement and with tons of stuff to do! Over the first weekend we took Charlotte to Birmingham to spend some time with mimi and to go to the zoo. She had been asking to go for weeks and it was finally semi warm enough to brave it. We had a great day, just the three of us. During the weeks things were crazy as well. I have decided to close my office indefinitely—a decision that surprised me to say the least. After the terrible changes of last year I felt like it was time for a break and having a baby was a perfect reason to take one anyway, so the timing made sense. I need time to figure out how to work on my own terms now that I don’t have my dad anymore, which is something I didn’t really get to think about right after he died. I just had to keep going. Anyway I started the closing up process in January but there are still lose ends to tie up and so I was pretty frantic trying to wrap things up before baby sister arrived. I was worn out but I couldn’t stop because I knew my time was limited. However, I didn’t realize how limited it was—I was set to be induced in March 22 but instead I went into labor one week early! This was pretty much my worst fear (although my water didn’t break in an embarrassing place so that was good). I was afraid to go into labor, to not have as much time to get things accomplished, and to miss my cousins wedding. Well all those things happened and we all survived! After 12 hours of labor and 3 sticks of the epidural, we welcomes our beautiful daughter Frances Oliver Bailey on March 15 2018. She was 6 pounds 12 ounces and 21.5 inches long. She has dark hair and dark eyes and just made everything happy. Her arrival brought up so many emotions but mostly we just feel grateful and completely and overwhelmingly blessed, because we know that it’s not always easy to get such a precious gift. I will do more on her birth story whenever I catch a spare minute! Since Charlotte was the flower girl for Andrew and Ashely, my mom took her on Friday to Birmingham to fulfill her duties. I was so worried and felt so guilty for not being with her. We practiced for weeks and told her where each of us would stand etc and here we were not even going with her. My heart was broken at the same time it was so full. Being a mom of two was already proving to be very difficult emotionally—my attention was already divided and I didn’t like it. Charlotte did an amazing job however and didn’t act like she needed us at all (which is great yet also makes me sad). I cried and cried when I watched the video my sister took of her. She totally rocked it and looked like a pro!! It was such a special experience for her and I know she will always have an extra special connection with Ashely and Andrew because of it. When my mom brought her home that Sunday, she was overjoyed to meet her baby sister. That’s actually what she calls her “my baby”. She held her and just gazed at her little face. She still wants to hold her and pet her and love on her all the time—it’s so adorable. I hope she is always as in love with her as she is now. Charlotte is seeming more and more like a big girl, especially now with baby sister around. As much as I love seeing her grow and learn, I find myself wanting to hold onto her littleness for as long as I can. I love when she speaks incorrectly (save that to later, that hug was so tall) and when she mispronounces words (ba-draf for giraffe, bideos for videos, pecial purprize for special surprise). I know these words and phrases will come out correctly soon so I’m just enjoying hearing her little voice while I can. Forrest took her to her Easter egg hunt and party at school—something else I was really sad to miss. I’m going to have to get used to missing out on adventures with those two for a while, but I know soon we will all be able to do things together. That’s one good thing about the second baby—you know how quickly time passes and things change. It makes you want to savor things a little bit longer, instead of rushing through them, because you know you don’t get that back. As for Frances, she is just being a baby. At two and a half weeks she is staying awake for two two hour chunks of time each day, one around lunch and one around dinner. She eats roughly every 3 hours and usually falls asleep while eating which I know isn’t great but I can’t really help it. She is sleeping in her rock and play right now, which is funny to me because Charlotte hated it. She started out needing to be tightly swaddled but now she’s good with a blanket tucked around her. She is growing so quickly and getting a little double chin! During her first week she grew 9 ounces in 4 days which pleased the doctors at her weight check. We ar wall adjusting to our new life as a family of four and although we are all tired we are all so happy. 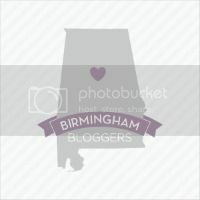 Blog design by Sweetie Baby's Designs, 2013. All rights reserved.